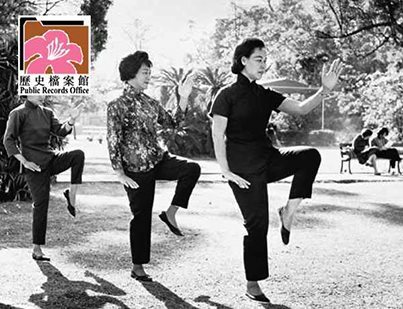 Tai Chi is considered a low impact exercise, but there are many other low impact exercises such as aerobics, many forms of dancing and walking. So what exactly is the advantage of practicing tai chi over other low impact exercises? What is the difference between normal, low impact exercises and tai chi? Is tai chi that much better? There are a lot of articles about the benefits of tai chi, but in this post I want consider the main differences of tai chi compared to other low impact exercises. You have a choice on what you can practice so it is helpful to know how it is working and why you may want to practice tai chi rather than do something like take a walk. The first thing is that with normal, low impact exercises they’re often still very physical. Most low impact exercise have a tendency to work your muscles. Unlike tai chi they also tend to be done faster. The nature of movements in tai chi require the practitioner to operate in slow motion, and slow motion has a tendency to loosen up the body in the way that normal, low impact exercises don’t. An adjunct to this is because of the degree of attention and concentration required to do tai chi, you must drop your mind into your body. This is not necessary the case with other low impact exercises such as walking where you can walk and at the same time daydream being completely in your head. Tai chi is a exercise that helps bring you back in your body – something that is needed in our fast paced western world where many people are disconnected from their body. 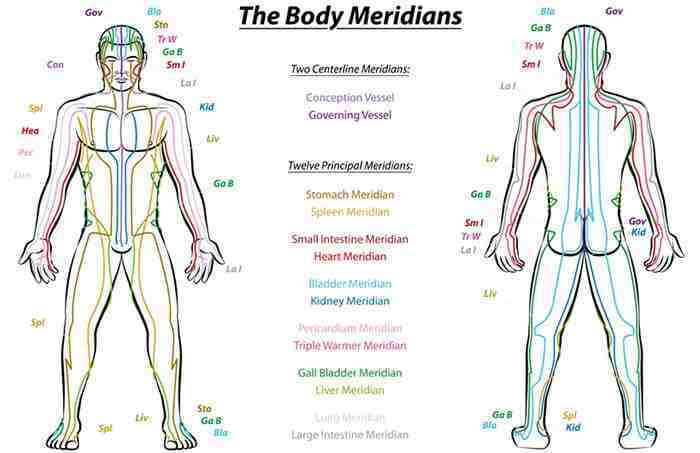 A second important point is that while you are doing the movements of Tai Chi, the constant shifting weight back and forth between the legs, the constant change in the position, the incredibly wide range of arm movements get every joint in the body to fully articulate. Most low impact, aerobic exercises do not do that. That’s a special focus of tai chi. 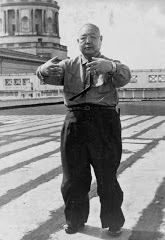 A important third point is the way in which Tai Chi movements are done with very even slow motion rhythm. This boosts circulation in a way that goes deep to work with the small, tiny, blood vessels inside the body that most slow, low impact aerobics will do. Above and beyond this, doing Tai Chi has a way of developing balance (both inner and outer) because of the way you shift your weight from your forward leg to your back leg and all sorts of different positions and pick one foot off the floor constantly. It develops balance better than the vast majority of low impact exercises do. For athletes developing better balance and body awareness result in higher performance. On the other spectrum, for seniors and those who are aging, any fall or bone break beyond the initial pain and medical costs, will seriously decrease the mobility and possibly result in chronic pain and a lower quality of life. Developing better balance is a big thing that can not be overlooked and Tai Chi does it just about as good a job at this than anything I have encountered. Tai chi simply does not follow the same physical principals that normal, low impact exercises do. 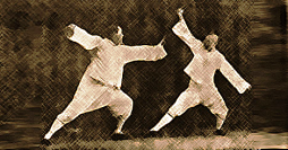 Tai chi has its own unique principles that are significantly different from the way the western mind thinks about exercise. I think it’s the slow motion nature of it, I think it’s the circular motion of it and I think it’s the nature of the way that it makes the body move in such a wide variety of positions and postures and articulations of your arms and your legs. It is a combination of all these things together that make the benefits of tai chi so compelling and useful. Is Great the Enemy of Your Good? Lastly one of the statements that I have made is that Tai Chi has great benefits for people even when it is practiced poorly. 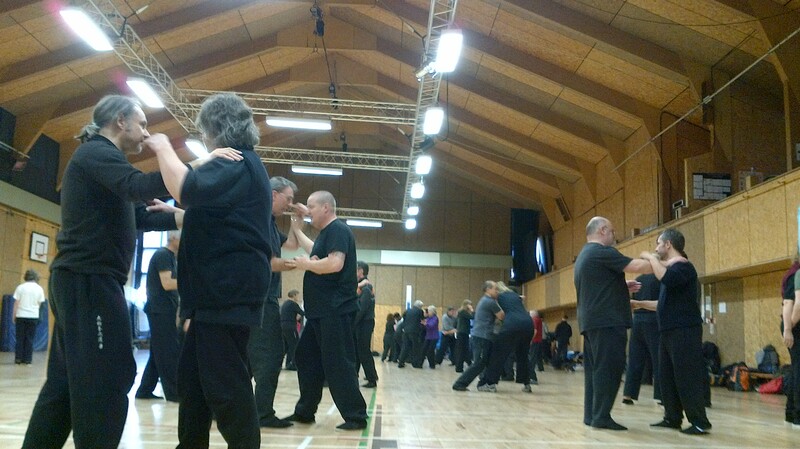 After seeing many people do tai chi all I can say is that in general doing it even poorly is better than not doing it. So rather than only do it if you can do it perfectly, just do it and understand you are working toward great. You most likely will not reach greatness after taking a week course for a few months or even by attending an intensive seminar. Realistically it takes years and many hours of regular practice to bring any movement form to its full potential. This is also the carrot or the greatness that makes tai chi so appealing because there is always another level to climb and always ways to deepen your practice. These “workouts” can do wonders for your health. They’ll help keep your weight under control, improve your balance and range of motion, strengthen your bones, protect your joints, prevent bladder control problems, and even ward off memory loss. Swimming. You might call swimming the perfect workout. The buoyancy of the water supports your body and takes the strain off painful joints so you can move them more fluidly. “Swimming is good for individuals with arthritis because it’s less weight bearing,” explains Dr. I-Min Lee, professor of medicine at Harvard Medical School. Tai Chi. Tai chi — a Chinese martial art that incorporates movement and relaxation — is good for both body and mind. In fact, it’s been called “meditation in motion.” Tai chi is made up of a series of graceful movements, one transitioning smoothly into the next. Because the classes are offered at various levels, tai chi is accessible, and valuable, for people of all ages and fitness levels. “It’s particularly good for older people because balance is an important component of fitness, and balance is something we lose as we get older,” Dr. Lee says. Strength training. If you believe that strength training is a macho, brawny activity, think again. Lifting light weights won’t bulk up your muscles, but it will keep them strong. “If you don’t use muscles, they will lose their strength over time,” Dr. Lee says. Muscle also helps burn calories. “The more muscle you have, the more calories you burn, so it’s easier to maintain your weight,” says Dr. Lee. Strength training might also help preserve your ability to remember. Before starting a weight training program, be sure to learn the proper form. Start light with just one or two pounds. You should be able to lift the weights 10 times with ease. After a couple of weeks, increase that by a pound or two. If you can easily lift the weights through the entire range of motion more than 12 times, move up to slightly heavier weight. Walking. Walking is simple yet powerful. It can help you stay trim, improve cholesterol levels, strengthen bones, keep blood pressure in check, lift your mood and lower your risk for a number of diseases (diabetes and heart disease for example). A number of studies have shown that walking and other physical activities can improve memory and resist age-related memory loss. Kegel exercises. These exercises won’t help you look better, but they do something just as important — strengthen the pelvic floor muscles that support the bladder. Strong pelvic floor muscles can go a long way toward preventing incontinence. While many women are familiar with Kegels, these exercises can benefit men too. To do a Kegel exercise correctly, squeeze and release the muscles you would use to stop urination or prevent you from passing gas. Alternate quick squeezes and releases with longer contractions that you hold for 10 seconds, and the release for 10 seconds. Work up to three 3 sets of 10-15 Kegel exercises each day.